E-School news reported today about California Virtual Academies holding a science fair in a Barnes & Noble store in the Corte Madera Town Center. As the judges were not present, each presentation would have to be photographed from several different angles. Judging would be done, as most everything else, online. K12 is the virtual school company that serves California Virtual Academies. 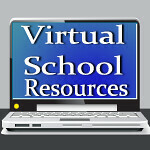 K12 serves many other state virtual schools, and is available to students in any state. California Virtual Academies offers real outings for the virtual students on a regular basis. For the students who participated in the Science Fair and did well, they may have an opportunity to go on to the State Science Fair. As in homeschooling, those who think the students are cloistered don't have any idea of how many opportunities are available to students who school online. In fact, many students who cyber school do so because of their crazy schedules, consisting of athletic competitions, music and art classes, and even auditions for commercials and television shows. These students have big dreams. I, for one, can't wait to see them come true!